A $50.00 deposit is required when you register for your class. Final payment is due in cash or check upon arrival at the class. Please arrive early to have your firearm safety checked and to check in and pay for your class. Leave all ammunition in the car, firearms are always to be unloaded. The cost for the class is $250.00 per individual. The fee includes the cost of the range. The cost is broke down into 2 parts. $125.00 for your 8 hr. 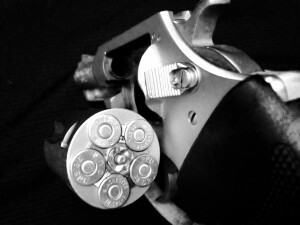 Pistol Safety and $125.00 for your 8 hr. Illinois CCW. The total cost for your CCW permit is broken down as follows: $125.00 if you are exempt from the first 8 hours of class, $250.00 for 16 hrs of class, and $150.00 for your permit, which is paid directly to the Illinois State Police. Upon completion of your class CICC will submit your permit application to the State of Illinois, for $25.00. If you choose this option you will be “Under Review” when you leave the classroom. You do not have to be fingerprinted for your CCW permit. The total cost for the renewal class is $60.00 and a deposit must be made to register for the 3 hour course. Bring with you to class, Your eye and ear protection, 50 rounds of ammunition, and your handgun. Information about advanced classes or Instructor level classes will be emailed to each person as they register for these classes. Our Instructors also offer one-on-one marksmanship training at the shooting range. If you are interested simply ask one of us. Contact us if you want to have your own private class with your own friends and/or family. We can schedule a class tailored to your schedule. We will also do a group class at your location if that is preferable. Your Right to Privacy Personal identifiable information (PII) is data that could identify a specific individual such as name, addresses, e-mail addresses, and telephone numbers. Where a customer voluntarily chooses to supply Central Illinois Conceal Carry with its PII this data will be used exclusively for providing our customer with the information or service requested by him/her under the terms and conditions made available for him to consult prior to his/her disclosure of PII. Furthermore, CICC does not sell or otherwise release your PII to third parties for the purpose of allowing them to market their products and services to you. Use of PII CICC collects and uses PII for the duration of your conceal carry permit. Such collection is done with appropriate notice and consent. Once we no longer need your class record on file, the collected information will be destroyed. The Purpose of Data Retention PII is held for the lifetime of your permit (5 years). CICC does not collect any additional information about you other than outlined above. The State of Illinois laws requires we maintain proof of your class record for 5 years. CICC reserves the right to disclose our customer’s PII as required by law or when we believe that disclosure is necessary to protect our right and/or comply with a judicial proceeding, court order, request form a regulator or any other legal process served on us. 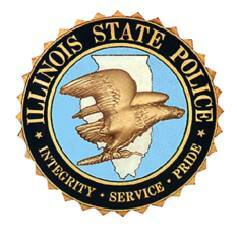 Safeguarding Your PII Central Illinois Conceal Carry values the trust you place in us. To prevent unauthorized access or disclosure, to maintain data accuracy, and to ensure the appropriate use of the information, CICC uses reasonable and appropriate physical, technical, and administrative procedures to safeguard the information we collect and process. Changes to this Privacy Statement We keep our Privacy Statement under regular review and reserve the right to modify this Privacy Statement from time to time. We will place any updates on this website. Contact Information Should you have any questions or comments about any of the above, please contact info@centralillinoisconcealcarry.com for assistance.